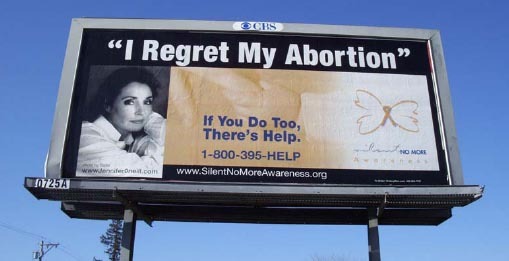 Yuba Sutter Right to Life sponsors a number of signs around town. In addition, we also lease a billboard a couple times each year. In January-March 2010, Richard's Tree Service provided prime billboard space on Highway 99 at no charge to Yuba Sutter Right to Life. We would like to thank Richard's Tree Service for their incredible generosity. In January 2009, we leased a billboard on Lincoln Road, near Garden Highway, in Yuba City. We leased the billboard for one month. 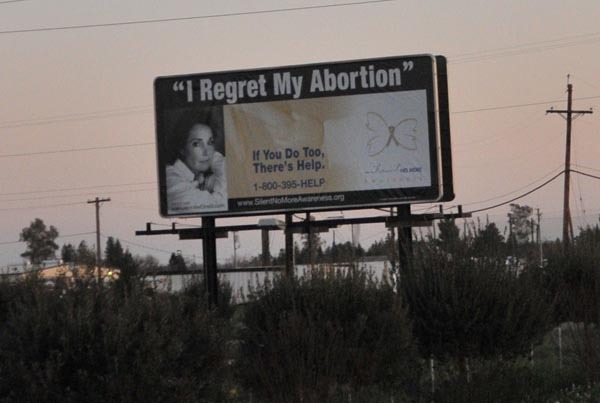 Yuba Sutter Right to Life has purchased a number of durable vinyl signs that are displayed at various locations in our community. We are extremely thankful to those businesses that host our signs. Please let those businesses know that you appreciate their service to the pro-life community.